JavaOne2013 Overview : JavaOne2013 report 2 #JavaOne - I write Engineering Topic weekly...? I write Engineering Topic weekly...? 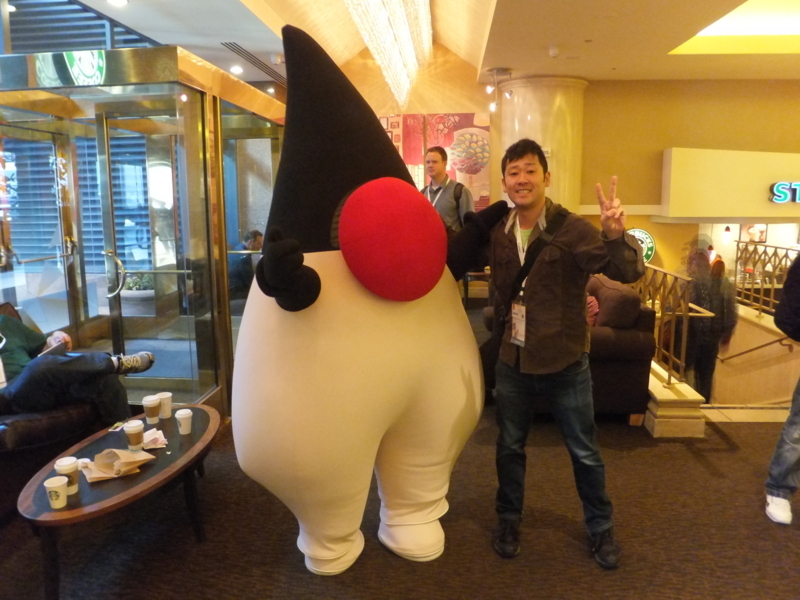 This is overview report of JavaOne2013. I'll post each session's repot to here. Why did I attend JavaOne? In this year, I'm trying increasing my "technical skill", especialy programing skill. So, I tryed to attend technical conference about programing language. What did I noticed when I choose sessions? I had heard there are so many sessions in Java, but I was realy surprised that I need choose my sessions from huge number of them. Through choosing my sessions, I found I was interested in REST, cloud, and operation. They were related my current tasks. Since "Java technology" is so wide, and I didn't know which kind of technology was I interested in. But thanks to this "choosing", I could know my favor. This is one of what I learned. The most impressive learning from JavaOne is that I realized that I have so many chance to consider and chose components consisting application. In addition, I also noticed an importance of "practice swing" for choosing them. "CON4117:The Adventurous Developer's Guide to Application Servers" gave me great learning. In truth, I have not thought about application server deeply. I've used tomcat without thinking. But now, I know there are many kind of application servers, in addition, some of them were released in recent years. Now, I can consider which one is the best to each applications which have different strong point. About language, it is good experience that I imagined start of using Java8 on our work. By keynote and some session like "Programing with Lambda Expressions in Java", I could realize that the change to Java8 is so big, that we should adjust to this for readable code, and that every team members (of course, containing me) should learn it preliminarily to start using easily. Attending overseas conference is realy bang for the buck? Can't I realize such things without going overseas conference? This attendance costed my company almost as same as my monthly salary. Even so, I think going JavaOne is U.S. gave me such graet things. As I already told it, I could find my interest by chosing my session from unbelievable number of sessions. In truth, I spent more time to "looking back" of sessions than hearing them. It means I sit down near the outlet, and learned more about session's theme, wrote program code, and posted blog. It seems these things don't require going abroad. But actually it's very difficult to create enough time for that in daily life. Thanks to I was in another country, I could concentrate only technology. I thought it is like training camp of a sport. This time, I could get those realization. I deeply appreciate this global opportunity. Any System's behavior can be described by only "Input" & "Output"
taichiw is using Hatena Blog. Would you like to try it too?